Our potted history series continues with a trip back 16 years, where the sacking of a Bradford City manager caused a national storm. Jason McKeown takes up the story. Four days later, Chris Kamara was sacked. When judged against the modern day era of managers being hastily dismissed up and down the land, Kamara’s removal probably wouldn’t raise an eyebrow these days – but it caused quite a stir at the time. Kamara, in his first managerial job, had been in charge for just over two years – and under his stewardship, City had climbed from mid-table in Division Two (now League One) to reach and then win the play offs, before successfully avoiding relegation from Division One (Championship) the season after. In his third campaign in charge – 1997/98 – City flew out of the starting blocks to top the league in September (a feat they have since only repeated once in any division), and remained in play off contention until mid-November. They were still 11th in the division when Kamara was sacked. Nevertheless, form had deserted the club and a much-quoted statistic laid bare the decline – just four wins in 23 matches. Worse still, Kamara had been relatively well-backed in the transfer market, most notably breaking the club’s transfer record to sign Bolton striker John McGinlay from Bolton Wanderers for £650,000. Chairman Geoffrey Richmond – who had a habit of interfering in team affairs – had arranged a deal to sign Wayne Allison from Swindon Town. Kamara refused and made it clear he wanted McGinlay, but the Scottish striker proved to be a huge flop at Valley Parade. He’d only netted twice in 10 games prior to the Man City cup match – and at Maine Road he would miss two sitters as the Bantams crashed out of the cup. Richmond swung the axe. Wider football was less understanding, with Bradford City as a club criticised for over-ambition and lack of appreciation for the manager who had given them so much. On Sky Sports, then-West Brom manager Denis Smith stated, “What chance do I and all the other managers have when you consider the job Chris did at Bradford in the two years he was there?” The ITV Football League highlights programme ‘Nationwide League Extra’ also produced an in-depth feature about how much of a mystery the sacking seemed to be. But while all of this coverage focused solely on football matters, another leading pundit of the time would raise more sinister concerns. On the Saturday after Kamara’s sacking, a Bradford City supporter called into BBC Radio 5Live’s 606 show, expressing appreciation for what Kamara did but backing Richmond’s decision. Back then, the show was hosted by David Mellor, a Conservative politician who had been tasked with running the Labour Government’s ‘Football Task Force’ initiative – aimed at addressing some of the rising issues within the sport. Mellor rambled on to the caller about how distressed he had been to hear the news of Kamara’s dismissal, and eventually plumped to put forward a loaded question. The caller quickly refuted such an idea, and the conversation moved on. Yet rather than that prove an end to the matter, Richmond – who had deliberately made time to listen to 606 that evening to see if any City fans would call in – was incensed with rage. And what might have been a quickly forgotten piece of radio would for the next two weeks be the subject of sizeable national media coverage. Richmond quickly made public his anger at Mellor, telling the T&A, “What Mellor said was scandalous”. He spent much of the subsequent week in talks with the BBC as he threatened to take legal action. In the end this prospect was dropped and an agreement was made – an agreement that would see Mellor have a rather unusual guest on the upcoming edition of 606: Geoffrey Richmond. He was to be given 10 minutes airtime to clarify the club’s position and make it clear that colour had nothing to do with the decision-making process behind removing Kamara. It proved to be an explosive appearance. “Well David, let’s forget the pleasantries,” were Richmond’s first on-air comments, which set the tone for the slanging match that occurred. The pair argued back and forth for the subsequent 10 minutes, neither giving an inch. Richmond outraged at Mellor posing the original question, Mellor defending his right to have asked it. Whilst fiercely protecting the reputation of the club, Richmond also instigated a campaign to have Mellor removed as Head of the Football Task Force. One of the remits the Government had handed the Task Force was to investigate racism within the game and whether more needed to be done to combat a problem that, although significantly reducing since the 1980s, nevertheless still reared its ugly head every so often. Richmond felt that Mellor’s questioning of the reasons behind Kamara’s dismissal meant he was not fit to lead such an important project. “I’m not the only one fed up with him and his ill-informed comments,” he stated. 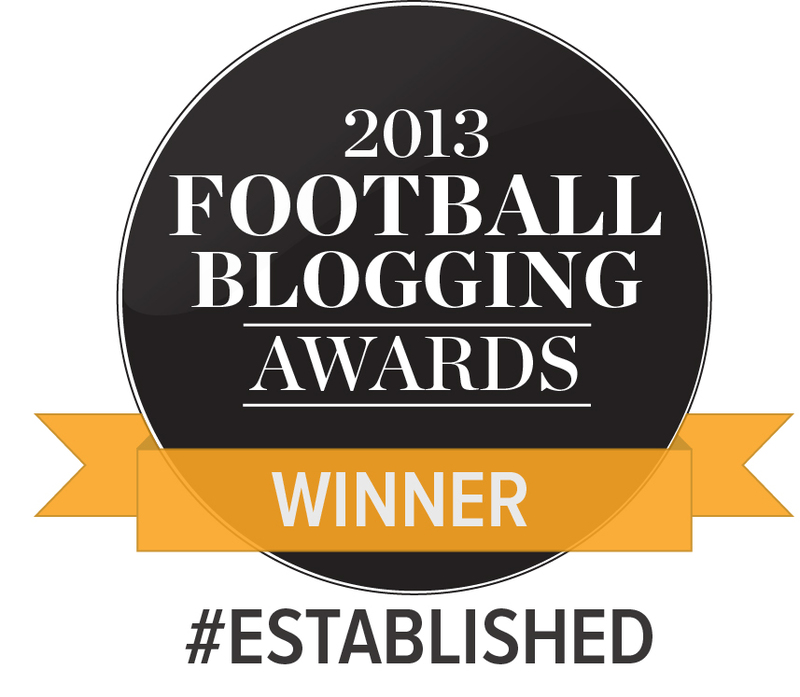 “I wrote to every Football League club and have been amazed by the response. Forty-eight chairmen sent me letters of support in two days. One of the jobs of the football task force is to kick racism out of the game and Mellor’s comments could in fact perpetuate it. Sure enough, the controversy faded and Mellor retained his role as Head of the Task Force. Meanwhile Richmond set about appointing a manager to replace Kamara – announcing that caretaker manager Paul Jewell was to be handed the reins until at least the end of the season. Although Jewell struggled to impress as Richmond moved players on to balance the books during the final few weeks of the season, he was nevertheless awarded a two-year contract during the summer. A decision which paid off spectacularly for Richmond, as Jewell delivered promotion to the Premier League and, a year later, top flight survival. In the aftermath of the May 1999 Wolves victory which confirmed promotion, Richmond did mention Mellor in passing and how hard he felt he had to fight for his reputation in light of the damaging claims. If he had kept a recording of the radio fallout, he would no doubt have afforded himself a chuckle listening back on how Mellor brought an end to that January 1998 debate, scoffing that we should all remember to look at where Bradford City would be 18 months from then. Well, 18 months from then Richmond and co would be dancing around Molineux after achieving top flight football. Looking back on the row now, the whole episode has a touch of the bizarre. Richmond failed to adhere to a basic rule of PR which is to ensure the reaction to a negative coverage doesn’t overshadow the original comment, thereby bringing an issue to the public spotlight when it otherwise wouldn’t have been noticed. Yet part of me wonders if it was all part of a much cleverer plan, aimed at galvanising the people who mattered the most to Richmond – Bradford City fans. Kamara’s sacking was divisive and had the potential to lose him significant support. Although no one would have rallied against him as such, the decision would certainly have been scrutinised heavily over the subsequent months, as City’s season got worse rather than better. By portraying himself as a victim – particularly against a Southern-based Tory politician – suddenly the issue wasn’t so much whether Richmond was right to sack Kamara, but whether he had the right to sack him. The “four wins in 23 games” soundbite was soon repeated by almost every supporter, and the Swindon red card protest an indirect show of support for the Chairman. Which is not to suggest that Richmond took advantage of a situation. He had every right to be hurt and upset by the accusation thrown at him by Mellor. He fought passionately to protect his reputation, to shoot down those allegations and remove even the tiniest trace of doubt. It’s just that by doing so, he also won over doubting minds within his club’s support base and ensured that few questioned what was evidently a controversial decision to sack a successful manager. Richmond won the PR war locally, and the fact it paved the way for Jewell and unbridled success meant that sacking Kamara proved to be one of the most successful decisions he ever made. I know a while afterwards a rather naughty City fan rang David Mellor up and asked if Ruud Gullitt had been sacked from Chelsea because he was black, can’t remember his reply. But I did agree with the chap that rang a long while after that, who started off by saying that he had been racially abused at a game, and he wondered why……… Mellor’s ears pricked up, and he asked if he was wondering why he was racially abused, and the caller replied, no I was wondering why you were such a **** ! Two of my all time favourite folk involved with Bradford City, Geoffrey Richmond and Chris Kamara, great times with the games at Blackpool in the playoffs and the subsequent first ever Wembley appearance of Bradford City Football Club my two favourite games of all time supporting the club. I’d forgotten all about the furore regarding Mellor’s comments, Mr Richmond was quite right to take offence and like many other fans I was raising the red card that Saturday afternoon. Has BFG been forgiven? I hadn’t heard or read anything positive about Geoffrey Richmond since 2000. NEVER! The man was a manipulative dictator and conman that left the club bankrupt and on the verge of extinction. I would have gladly forsaken promotion and the Premier League years if it meant his time at the club had never existed. I’m a big fan of both Geoffrey Richmond and Chris Kamara. Thought they both did a great job for a large percentage of their time at Bradford City Football Club. No problems with Kammy but as for Richmond some seem to have forgotten how he spent money we didn’t have, mortgaged the club to the hilt, paid himself a handsome fee days before we went bankrupt (can’t remember the figure but it was substantial) and made the biggest mistake of all by falling out with Paul Jewell. We have been paying for all this since 2001 with all these years of constant relegation and struggles in the bottom division. It is only now 12 years later that we have turned the tide. No sorry but despite promotion to the PL and let’s be honest the second season was a disaster, no fun at all, I cannot ever forgive Richmond for what he did. I don’t know about some other people, obviously my memory isn’t that bad. I’m sure Mr Richmond knows some serious mistakes were made. He did a fantastic job until the summer of 2000 and after that he didn’t. 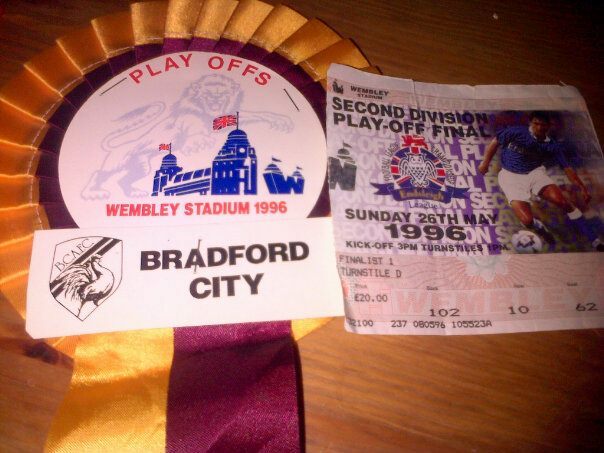 Loved the ride as I never thought Bradford City Football Club would ever play at Wembley and the thought of our club as it was when Mr Richmond took it over playing in the Premier League was the stuff of dreams. Of course he is also responsible for BCFC having a modern 25,000 all seater stadium to play in. I guess he’s also responsible for BCFC not owning it. Speaking for myself, I’ll always be a fan of Geoffrey Richmond, others obviously wont.